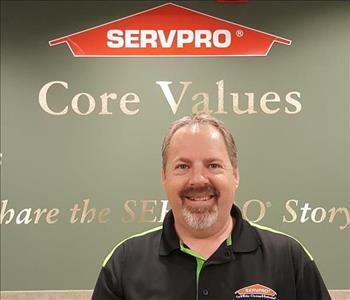 Marc Cheeley is the Production Manager at SERVPRO of Garden Grove East/Anaheim Central. Marc has been with our team since 2012. He has several years of experience in the industry and is a Certified IICRC Water Damage Restoration Technician (WRT) and a IICRC Applied Structural Drying Technician (ASD). Marc is an intricate part of our team with outstanding knowledge of the Restoration Industry. He handles all of our jobs from start to finish. He communicates extremely well with both the customer and the insurance company ensuring that all parties are completely happy and satisfied.